In fact, I think it is PERFECTLY FINE. 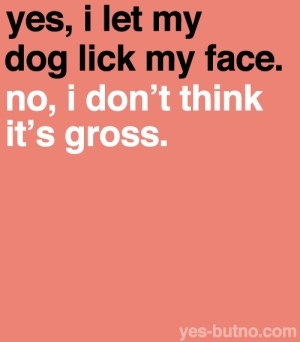 Haha, I don’t allow my dog to do this. But not because I think her saliva is gross but I just like my face to be dry. Haha, i love Puddles, oops, Pudding!